Why are we called KOALA? How do I nominate a child? How can I make a donation to KOALA? KOALA's mission is to cheer up children who are facing the challenges of hospitalization and/or long-term illness. 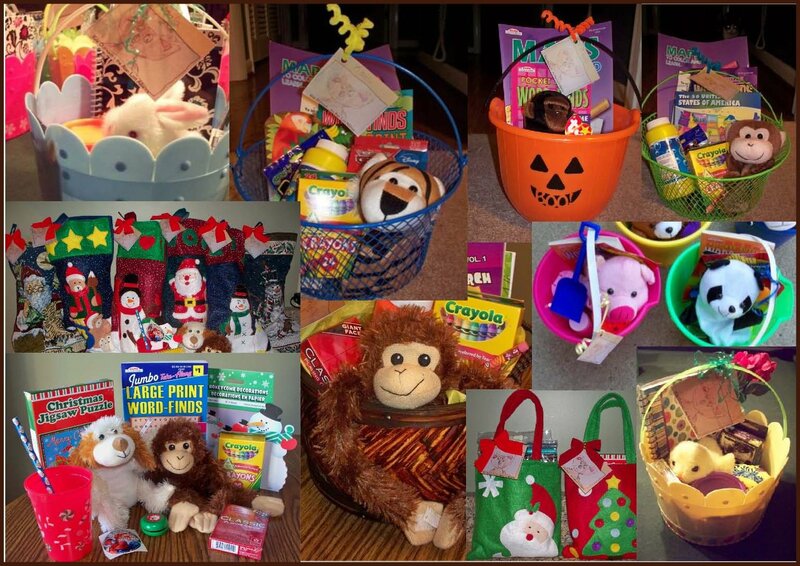 We fill gift bags, baskets, and buckets with small gifts to help brighten a child's day while they are hospitalized. We also accept nominations for children and teenagers from North Alabama to receive gift cards or small "wishes." A little cheering up can go a long way in helping children cope by taking their minds off medical needs, and relieving some of the fear, sadness, and boredom that can accompany illness. "A merry heart does good like a medicine" (Proverbs 17:22), so we want to help make kids' hearts a little merrier! In 2011 when Alabama was devastated by tornadoes, KOALA extended our mission to collect toys for the affected children and distributed over 400 toys to the children at Camp Maranatha in Scottsboro during a special week of camp just for them. All artwork was drawn by Alan.